Deborah “Beverly/Belly” Washington was born November 29, 1960 in Benton Harbor, Michigan. She was born to the union of Rosetta and Ernest Rimpson Sr. Deborah departed this life surrounded by her love ones on April 9, 2019 at Bronson Methodist Hospital in Kalamazoo, Michigan. Deborah confessed her love for Christ at an early age. She was an active usher at Hopewell Baptist Church under the leadership of Pastor John A. Simmons. She later joined New Paradise Baptist Church and served as Nurse Guild under the leadership of Pastor Willie T. Burton. Deborah made her final church home Beautiful Gate Baptist Church under the leadership of Pastor Charlie Jones Jr, where she faithfully served on the Nurse Guild even after her health declined. Deborah was a 1979 graduate from Benton Harbor High School. She was a dedicated, loyal and hard-working manager at Henry’s Hamburgers over 30 years until her health began to decline and she relocated to Kalamazoo, MI. She enjoyed spending quality time with her children and family. She enjoyed “getting away” with her sister, Adele. She loved playing games on the computer, watching Lifetime, CSI, and the local news. She spent countless hours at sporting events for her son, nieces, and nephews: yelling and cheering like she really knew what was going on. She had a heart of gold, always trying to make people happy and would give her last to help others. Deborah united in holy matrimony to Clifton “Cliff” Washington Sr. on September 21, 1985, and out their union, they were blessed with two children and she gained a loving bonus child as well. 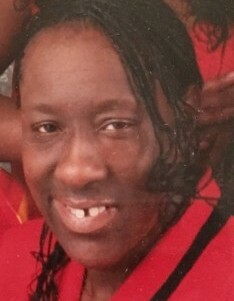 Deborah leaves to cherish her memory, her husband: Clifton "Cliff" Washington Sr., one daughter: Darniesha Washington, a son: Clifton "CJ" Washington Jr. both of Kalamazoo, MI., and her loving bonus child: Marlon Easter of LaCrosse, WI. One grandchild: Zayden “Baby” Washington-Baker. Father: Ernest Rimpson Sr. Four sisters: Darlene Carter and Adele Rimpson of Benton Harbor, Pamela (Carl) Dudley and Roshonda (Harold) Wiggins of Kalamazoo, MI. Five brother: Ernest (Renee) Rimpson, Calvin and Michael Rimpson of Benton Harbor, Otis Rimpson of Kalamazoo, MI., and Donald (Rhonda) Rimpson of Memphis, TN. Four sister-in-laws Virginia “Ann” (Jimmy) Julion, Kamberly, Angela and Adrine Brown. Two brother-in-laws: Eddie “June” Washington and Albert “Al” Washington. Two aunts: Annie Lenzy and Ladora Johnson. One uncle: Willis Richmond. Three God-children: Damario Rimpson, Terrell Brown and Dequindre Wiggins. Honorary nurse, Teona Rolland and her partner in crime, Bernice “Pig” Wright-Muhammad. A host of nieces, nephews, cousins, family and friends. She was preceded in death by her mother Rosetta and two sisters Anna Marie and Anita Rimpson.